(VEN) - The consumer price index (CPI) grew slowly after the 2019 Lunar New Year (Tet) holiday as it does every year. The government hopes efforts to curb CPI growth in the first quarter will pave the way for effective price management and achieve the growth target set for the year. 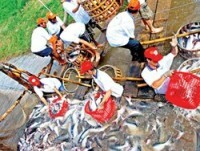 At a regular meeting of the Domestic Market Management Team in February, Ta Thi Thu Viet, Deputy Director of the Price Statistics Department of the General Statistics Office of Vietnam, said the CPI grew 0.8 percent in February compared with January, mostly due to increased consumer demand prior to Tet. In the first two months, the index grew 2.6 percent compared with the same period last year. Ahead of the February 6 holiday, the CPI of food and catering services soared. That of housing and building materials was up 0.69 percent due to a 3.51 percent increase in gas prices. Prices of cultural, entertainment and tourism services and products, as well as of beverages and cigarettes, also contributed to the CPI growth. Since Tet, however, CPI growth has slowed due to plentiful supplies and flexible state management policies. Petroleum prices are an example of such management. Prior to Tet, the Ministry of Industry and Trade and the Ministry of Finance continuously used the price stabilization fund to subsidize and maintain stable petroleum prices and prevent prices of essential goods from going up. 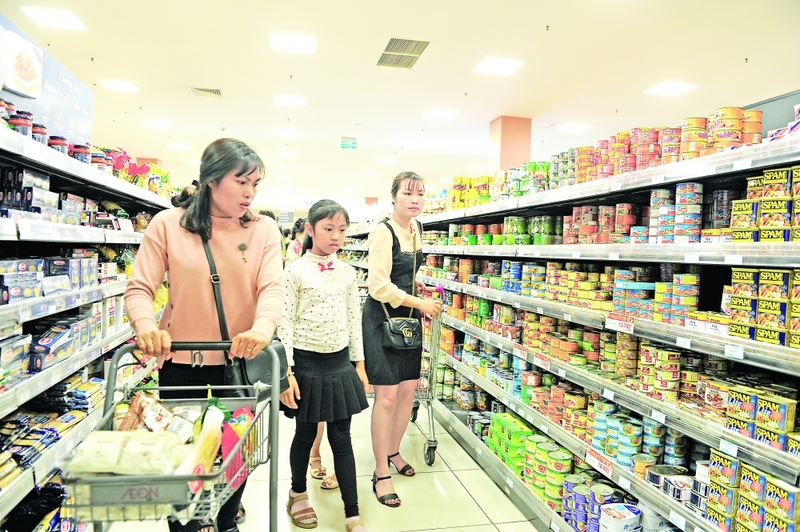 “Thanks to the proper stockpiling of goods for Tet, Vietnam saw almost no negative changes in prices of goods prior to Tet and successfully curbed the CPI growth at a reasonable level during that period,” said Dong Anh Ngoc, an official of the Ministry of Finance’s Price Management Department. Price management will also be easier due to the negative effects of African hog cholera on pork prices. The price of other kinds of goods, such as liquefied petroleum gas (LPG), steel, fertilizer and rice, are also going down, facilitating state management. However, Dong Anh Ngoc said the demand for travel to spiritual tourism sites would increase in March, bringing about higher demand for accommodation and catering services. This, in addition to the upward trend of global petroleum prices, will affect domestic CPI. In the opinion of Deputy Minister of Industry and Trade Do Thang Hai, a close watch must be kept on market prices of essential goods. African hog cholera has been detected in some pig breeding farms in Vietnam, so the Ministry of Agriculture and Rural Development needs to coordinate with other ministries, sectors and localities to stem the spread of the disease and ensure the supply of safe pork for consumers. Prices of goods which have a major impact on the CPI, such as electricity, should be managed in a flexible manner to ensure business interests and keep the commodity market stable.